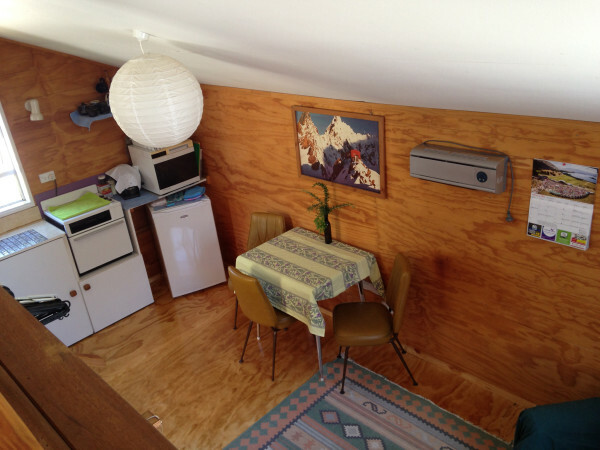 The Alpinism studio is situated on the same property as the Alpinism and Ski mountain guiding company in Wanaka with your hosts Iris and Gary. It has been called studio, cottage, cabin and even a rustic mountain hut. 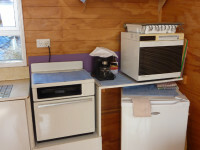 Equipped with all that’s needed, the style is rather retro with the theme reuse and recycle. 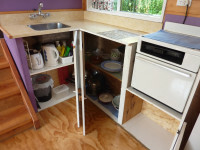 You are welcome to compost too. 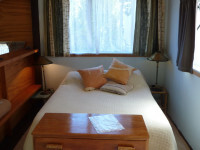 It is independent, private and cosy. 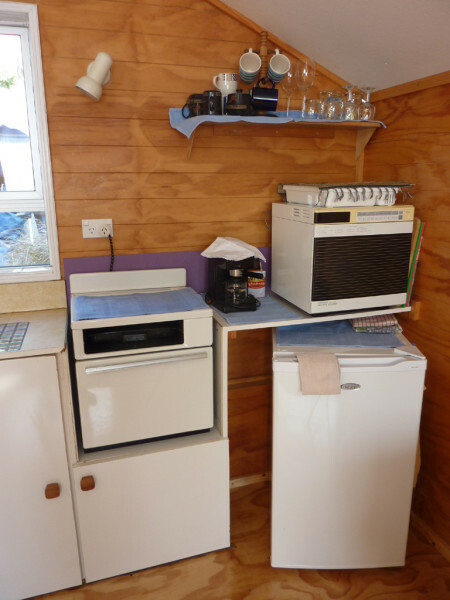 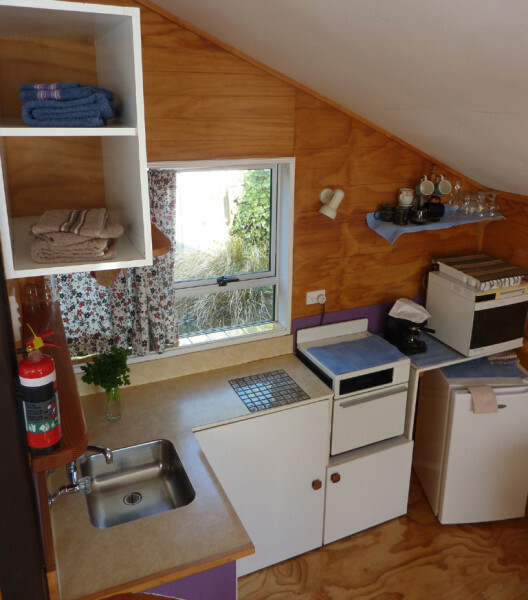 Split level, it contains a double bed, toilet/shower, heating, kitchen with fridge, stove, kettle, toaster, coffee machine, electric frying pan etc. 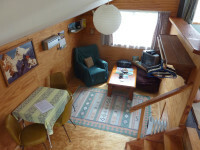 and living area. 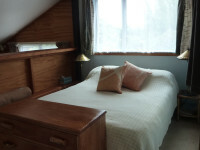 Ideal for a couple, but children and dogs are allowed (if controlled); an extra bed can be arranged; bed linen and towels are provided. 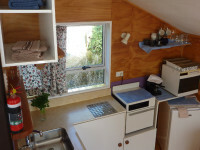 Free wi-fi (at times a bit limited, depending on the amount of visitors in Wanaka) and plenty of advice available about places to visit and things to do. 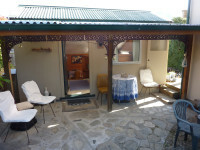 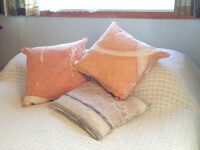 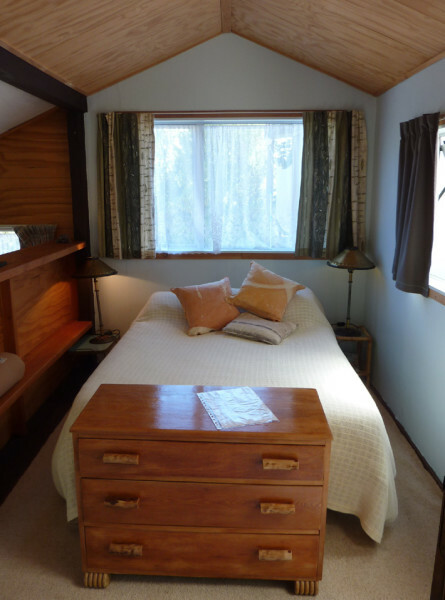 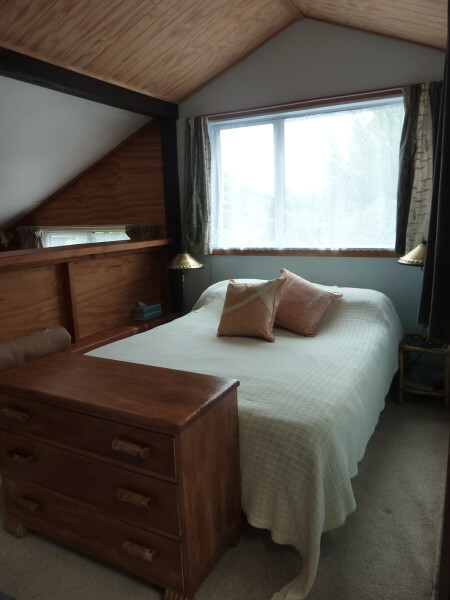 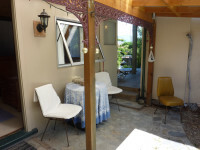 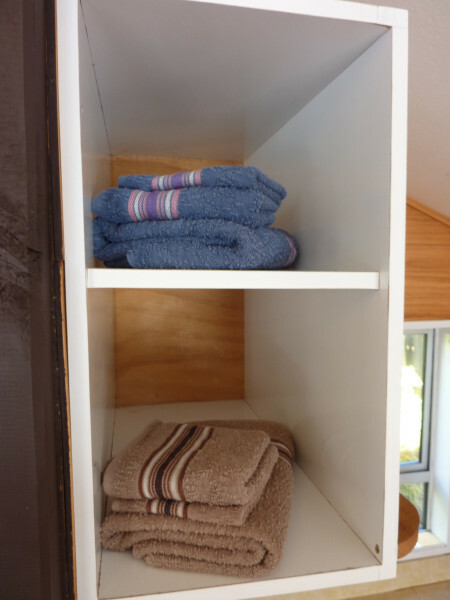 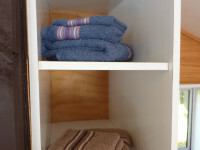 For climbers and mountaineers in need of a bed while in Wanaka, there is the climber’s bunkroom as well as a ‘honeymoon’ room in the main house, just call/email Iris to organise your stay.